Hi all, long time since I’ve been on the forum. 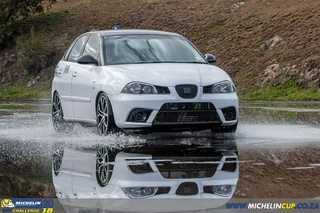 Look for an Ibiza Cupra, as mentioned in the subject preferably the TDi. Mileage, as low as possible, not to stressed about the colour, and preferrably stock. Please WhatsApp me if you have anything available. Zero7two 831 zero281. Try the facebook group, the forum is really quiet. Thanks for the reply HB. Don't have a FB account so will have to ask my wife to check, what is the FB group called? Good man, wish i didnt have fb! Current: Red Leon Cupra...the lightening Bolt!